Californian owners do it in style onboard their new Maritimo for an Aussie adventure. 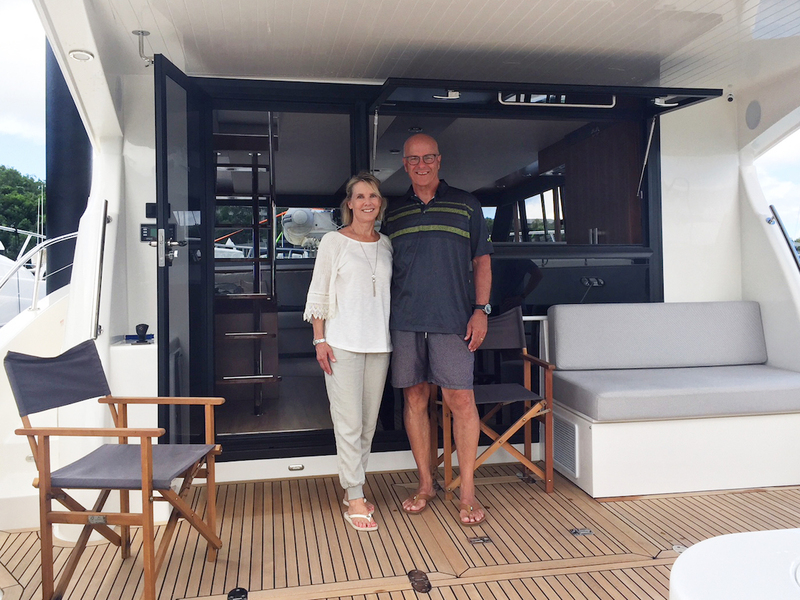 A 1400 nautical mile, 14 day ‘Aussie Adventure’ in March of 2019 for Californians Jeff and Robin Lyall aboard their brand new Maritimo M59 cruising motor yacht was the culmination of a year and a half of planning and decision making, and a lifetime of hard work. 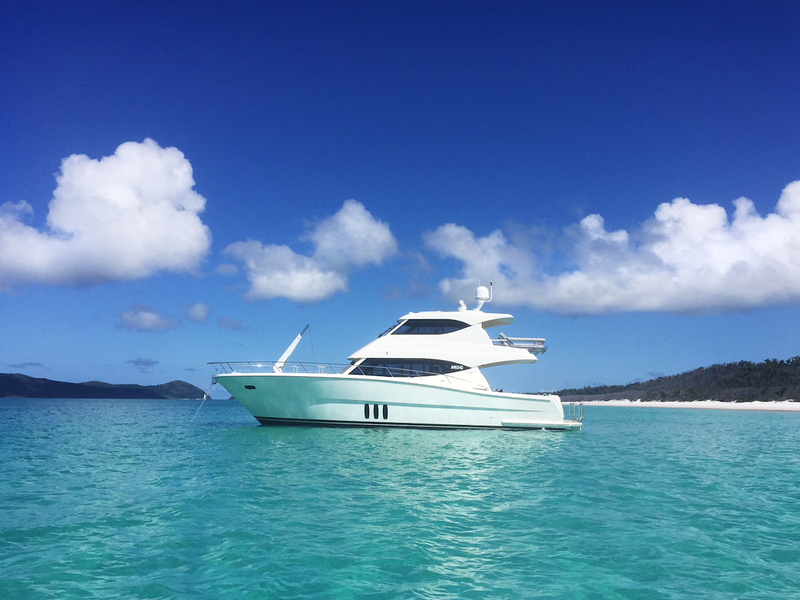 The couple and members of their family took delivery of their new Maritimo on the Gold Coast in Queensland, Australia, early in March and then headed off to the Whitsundays for their ‘once in a lifetime’ adventure. “It has been a totally unbelievable experience and one we will remember for the rest of our lives,” says Jeff relaxing in the salon of their boat moored back on the Gold Coast this week. The journey that took the couple from looking for a great family boat, that would satisfy both the family fishing enthusiasts and also be a comfortable cruiser, to arriving at Maritimo this month to take delivery of their vessel started in 2011. “I have always been involved in boating and with my dad when I was a kid I became an accredited diver at the age of 14 and we would scuba dive for lobster and abalone in the cold waters off the Californian coast,” said Jeff. Maritimo M59 Anchored of Whitehaven Beach in the Whitsundays. Jeff and Robin on their boat at Hamilton Island. Snorkeling on the Great Barrier Reef. Jeff said he worked in the business started by his father for 35 years and when he sold it to a public company three years ago and retired himself the company had 300 employees in two large plants. “Robin and I always had a plan to buy a larger boat after we sold the business and we started looking around seriously back in about 2011,” he said. “We went to boats shows in San Diego and Seattle and we looked at absolutely everything that was on the market. Jeff said after meeting Maritimo’s representatives Bill and Michele King, of Compass Point Yachts more than a year and a half ago they eventually decided on a Maritimo. Jeff said the large, climate controlled flybridge on the Maritimo M59 was also a major attraction as was the large cockpit to accommodate his friends on their fishing adventures. “After the delivery ceremony, complete with red carpet and champagne at Maritimo’s Hope Island facility, Robin and I and one of our three sons Evan along with our skipper Leigh headed off on the most memorable shake down cruise imaginable,” he said. 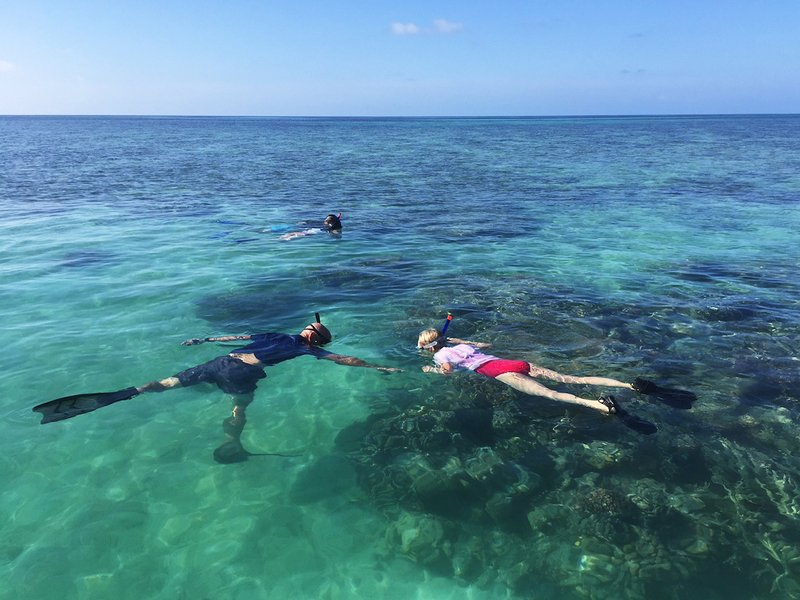 The family travelled north with overnight stops at Pancake Creek and Percy Middle Island and ultimately stayed two nights in glassy conditions on the outer Great Barrier Reef east of Hamilton Island. Days at anchor off Whitehaven Beach and snorkeling inside Hardy Reef Lagoon drifted past in ideal conditions. However, Jeff said the trip up the Queensland coast to The Whitsunday’s was ‘testing’. “We had 20 knots of breeze and seas with eight to 10 feet swells hitting the boat beam on and she handled like a dream,” he said. “The gyro worked brilliantly and despite all that water smashing over the boat we did not have one leak. After almost two weeks cruising the group moored at Hamilton Island and Robin, their son Evan and his fiancée Clair flew out to return to the USA. Jeff did the return trip with their skipper to the Gold Coast. “When we got back to the Gold coast we were caught in a tropical downpour of several hours and again not one leak which is amazing,” he said. Jeff said the list of items needing attention from Maritimo after the initial cruise was minor. And he said the 50 plus changes and additions they asked for during the build process were accommodated for without hassle and had personalised their vessel. “This boat is going to be all things for all people with our 12 strong and growing family ranging from little kids through to adult boys who love to fish,” he said. Having returned to the USA Jeff and Robin are now eagerly awaiting the arrival of their Maritimo in Seattle, where they will keep the boat to cruise those waters for the next few months, before bringing it south to California later in the year. They plan to live on the boat a week at a time travelling between their home and the vessel sharing it with friends and family. ” It’s a far cry from dad’s old 45 trawler and we simply could not be happier,” said Jeff.